At West Buckland we are lucky to have such a huge and natural site to work with, but we can do more to improve the biodiversity of our campus. 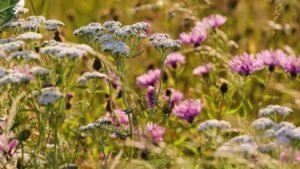 West Buckland Ecology and Biodiversity Society (WEBS) has come up with the idea of planting two wildflower meadows to provide nutrition for pollinators such as bees and butterflies. We hope to attract species such as common blue butterflies, red tailed bumblebees and great green bush crickets. WEBS can’t do it on their own, so they have enlisted the help of the students from the Prep School up to Year 9 to grow the wild flowers from seed in their classrooms. 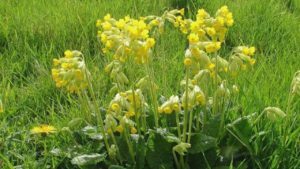 The classes will grow yarrow, cowslip, betony and yellow rattle and when the seedlings are ready, the children will help to plant them out. These new meadows will be behind Parker’s and in front of the 150 building. 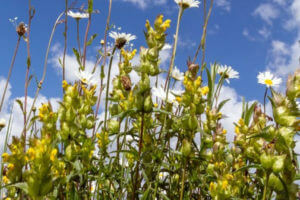 The aim is for the meadows to be flourishing by June 15th, when we plan to do our Bioblitz. This will involve a count of species numbers involving students from across the age groups, to see how well we’ve done in attracting insect species to our campus. 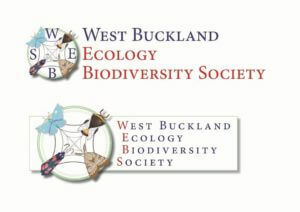 Our artist-in-residence, Joseph Witchall, has designed a logo for WEBS. We are also collaborating with the Art Department on the 1000 postcards project, where students will be drawing and painting postcards of species found on the school site. We hope many of our students will join in and help us make a big difference.